How Does Light Transmit And Propagate Relative To Matter? 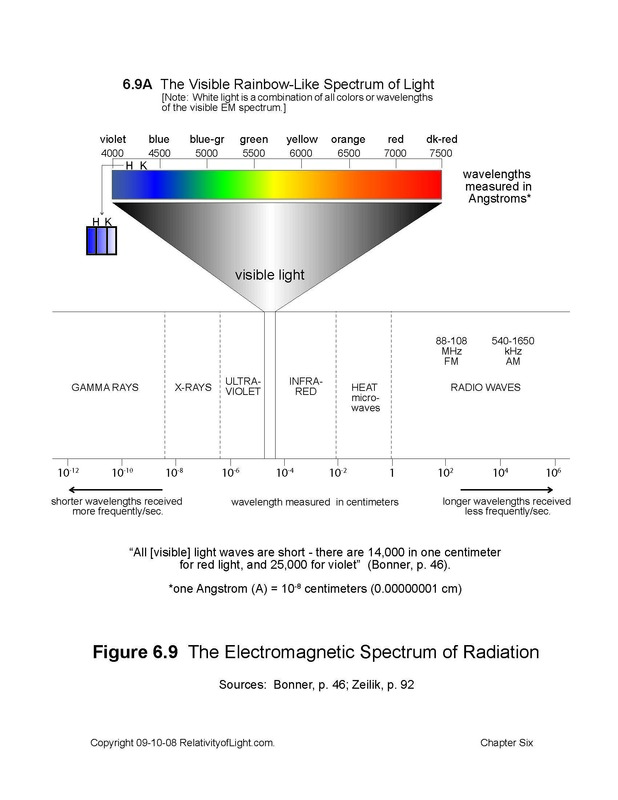 The EM radiation spectrum (called “light”) is comprised of an almost infinite number of wavelengths, from very short gamma rays to very long radio waves (Figure 6.9). We humans name each different wavelength of “visible light” as a different color (i.e. yellow) because that is what our human eyes perceive (Figure 6.9A). There are also a great number of transparent mediums through which “visible light” can propagate. The more dense the medium (vis. the more atomic particles it contains per volume) the slower a light ray can propagate through it. We define “empty space” (which has only a few atomic particles moving through it) as a “medium,” because light transmits relative to (and propagates through) this intermediate environment of empty space from a star to Earth. 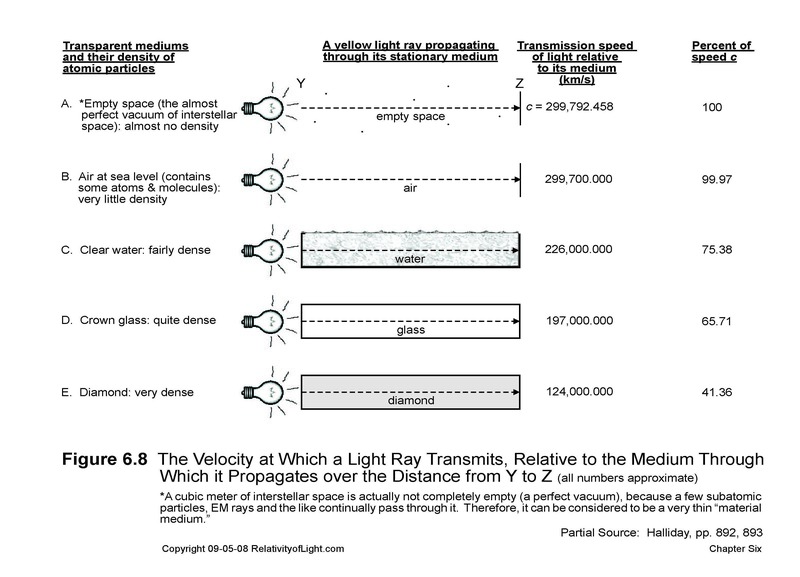 We define the velocity of light relative to each different medium through which it “transmits,” as the “transmission velocity of light” relative to that particular medium. 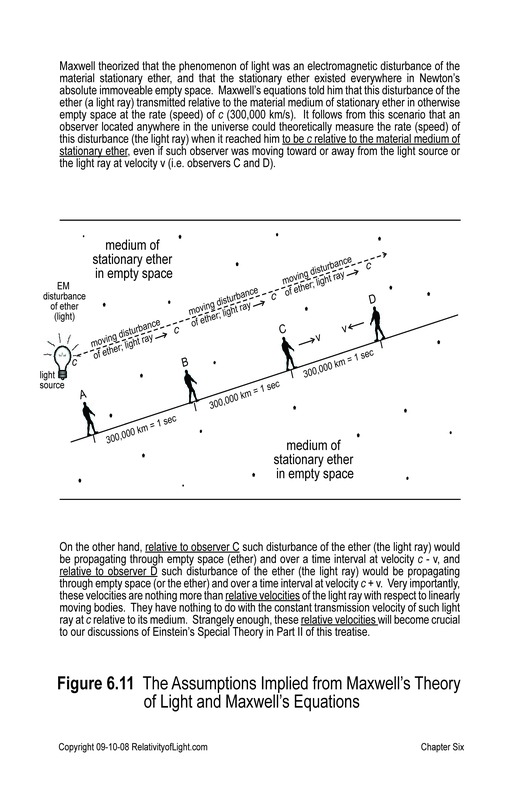 (Figure 6.8) The transmission velocity of all visible light (colors) relative to the substantially non-material medium of empty space is approximately 300,000 km/s or c, because empty space has a density of approximately zero (Figures 6.8Aand 6.11). The transmission velocity of different colors (wavelengths) of visible light changes relative to its different material media with different densities. For example, the transmission velocity of yellow light relative to the stationary material medium of water is approximately 75% of c (226,000 km/s); for blue light it is slightly slower; for red light it is slightly faster (Figure 6.7D). These different transmission velocities of different wavelengths (colors) of visible light relative to a specific stationary material medium with a particular density are called the “index of refraction” of that particular color relative to that particular material medium. 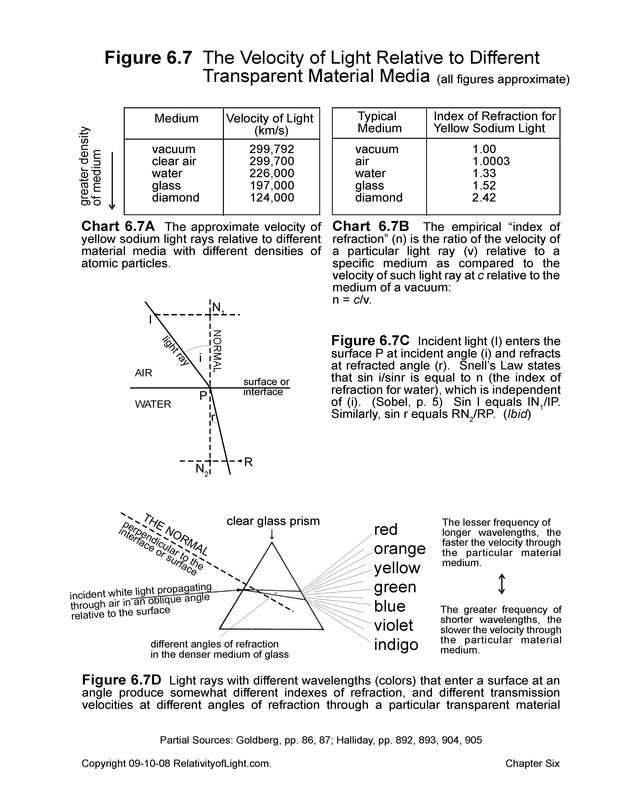 For example, the index of refraction for yellow light transmitting relative to the material medium of glass is approximately 65% of c; and relative to the much denser material medium of a diamond it is approximately 41% of c (Figure 6.8). The transmission velocity for blue light (with a shorter wavelength than yellow) in the above examples is slightly slower, and the transmission velocity for red light (with a longer wavelength than yellow) is slightly faster. In all of the discussions in this chapter we have assumed that a light ray is propagating relative to a material body that is stationary relative to the light ray. What happens if the material body moves linearly toward or away from the light ray? (Figure 21.1) We define the velocity of a light ray as it propagates over different distance/time intervals toward or away from a linearly moving material body, as the propagation velocity of the light ray relative to the moving body. If the body moves toward the light ray, the velocity of the light propagating relative to such body will be greater than 300,000 km/s, and if the body moves away from the light ray the velocity of the light ray relative to such body will be less than 300,000 km/s (Sobel, pp. 200, 204; Figure 6.11). This relative velocity of propagation is a completely different concept than the constant “transmission velocity” of a light ray relative to its medium or in the abstract. In Chapter 6 and in all of the above examples we have also assumed that the medium is stationary relative to the light ray. What happens if a material medium is moving linearly relative to the light ray? The answer is: The transmission velocity and the propagation velocity of the light ray will both change, depending upon the magnitude and direction of such material motion (Chapter 7C).